Sushi print on pink! 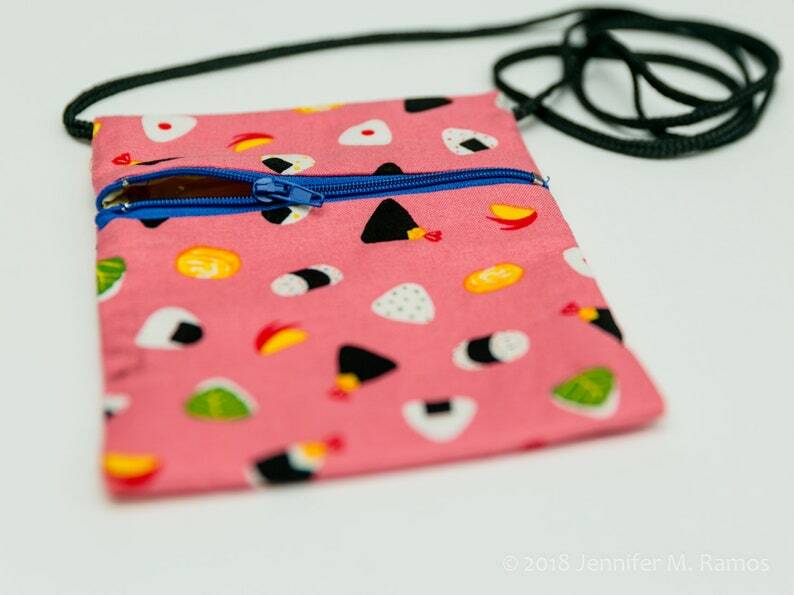 Zipper pouch measures 6" x 5" with a cord strap (can be worn cross-body but note length of 38" or drop length of 19"). The zipper pouch, which features a blue zipper, is lined with cotton fabric. This bag is great for carrying the barest of essentials - cash, keys, ID. A phone may or may not fit depending on size. The fabric was purchased in Japan and features loads of cute sushi.